Cutting Edge, Quality and Professional . . .
Our products are made of High Quality! 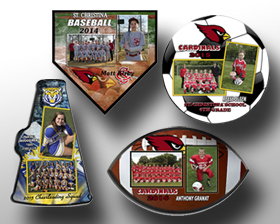 CGPHOTOS leads the way with exclusive products and assortment. KEEP YOUR MESSAGE IN FRONT OF CUSTOMERS, EMPLOYEES AND PROSPECTS. ASK ABOUT OUR WHOLE SALE & QUANITIY DISCOUNT PRICES!! 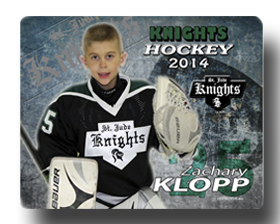 A great way to promote a player or sports team. 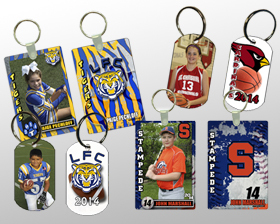 Proudly display your favorite sports team or create personalized tag. 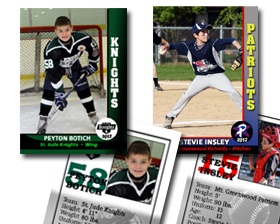 These sports efx photo magnets come in 4x6 & wallet sizes these are great for the frig or filing cabinet. 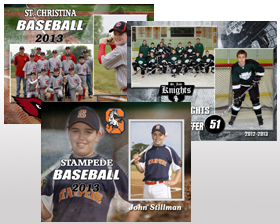 These covers come with graphics and personalized 8x10 prints. These cards are just like the real thing. Come 2 sided with photos and graphics. 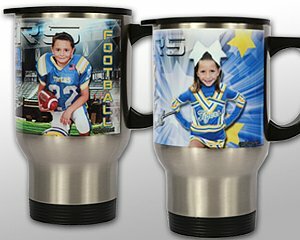 Keep your drink cold with your 2 sided sports efx koozie or with your own personalized one. 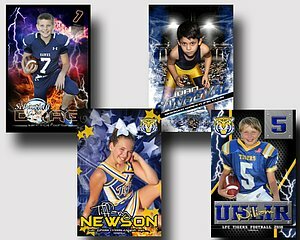 These sports efx posters come in a high impact design and different sizes. These acrylic pieces come in two sizes 5x7 and 8x10. 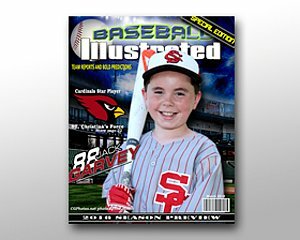 These covers come with graphics and personalized 8x10prints. 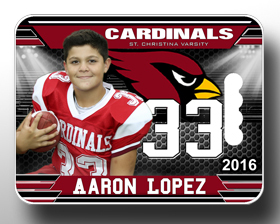 These acrylic tags are two sided front comes with sports graphics & back has player info. 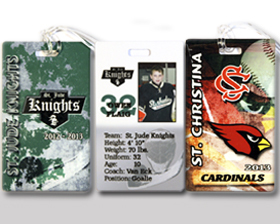 These tags are two sided made of aluminum or acrylic with team graphics. 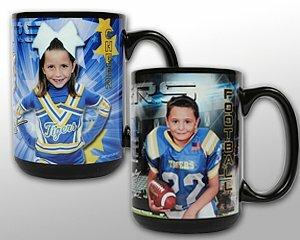 These 15oz black sports mugs come with high impact wrap around graphics. Dish washer & microwave safe. 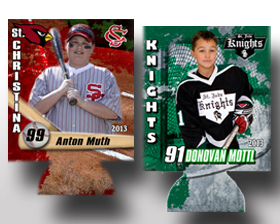 These 8x10 team & individual memory mates come with high impact sports graphics with team and league logos. 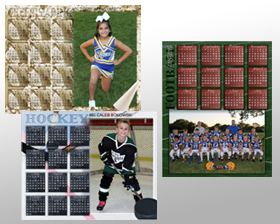 These 8"x10" calendars come in metalic prints with sports graphics and personalized. 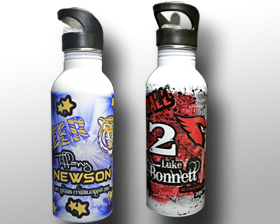 These sports EFX aluminum 16oz bottles comes with sports graphics with team and league logos and personalized. 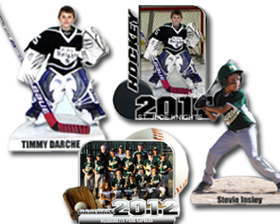 These cushions are great way to promote a player or sports team. Great for the grand stands and a kneeling pad. 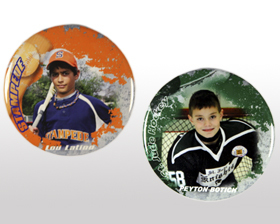 These 3" photo buttons come with sports graphics and personalized. 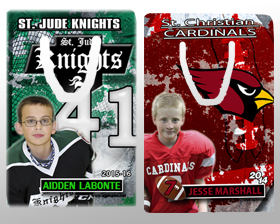 These sports efx aluminum book marker comes with sports graphics with team and league logos and personalized. These ticket paks come in a set of 7. 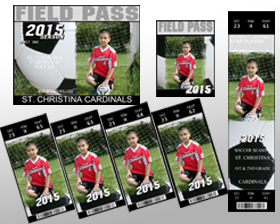 You get 4 small 1 large ticket, 2 field passes they all come with graphics and player and team info. 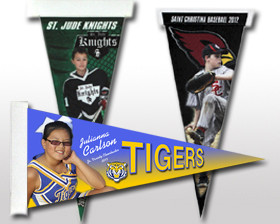 These sport Sublimation plaques come in sport shapes, impact graphics, team and league logos, and personalized. These mouse pads are made of 1/4 in. foam rubber. 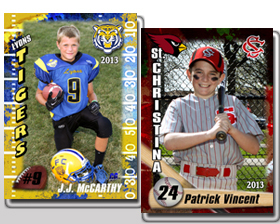 With high impact sports efx along with team and league logos and personalized.